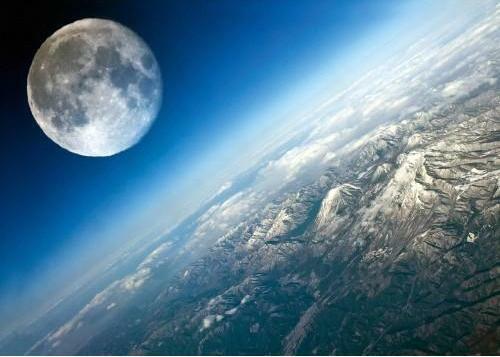 Postcard UA-1386362 from Ukraine shows a full moon over the horizon. 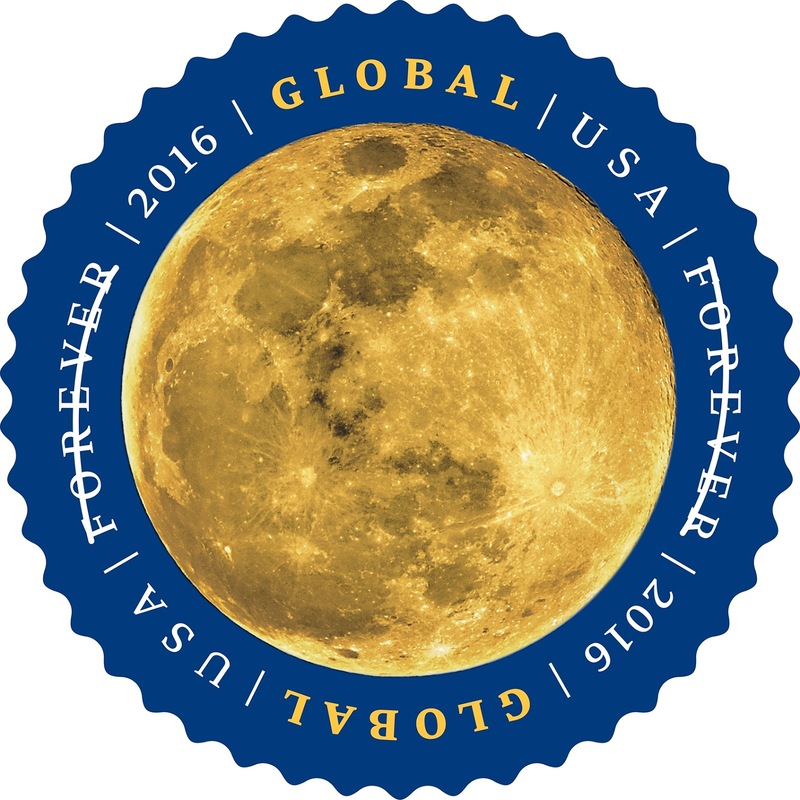 Today, USPS put out the new Moon Global Forever international rate stamp today. It continues to be a round stamp as other Global Forever stamps, featuring a detailed surface photograph of the moon. It sells for USD 1.20, which is good for mailing a 1-ounce letter or postcard to any country where the First-Class Mail International service is available. 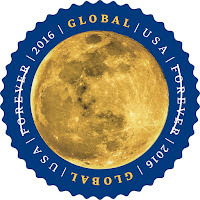 Update: As of April 10, 2016, the new Global Forever international rate is decreased to USD 1.15.